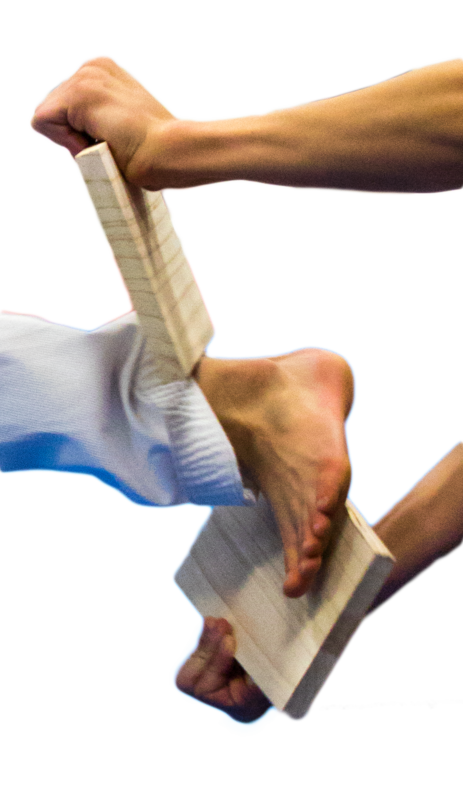 Give the Gift of Taekwondo! Focus is when you ignore one thing so that you can give more attention to something else. This can take a lot of self control, especially with how busy the world around us is. It’s easy to let ourselves get distracted, but this doesn’t help us reach our goals. Instead, we need to take responsibility and consciously decide what we want to focus on, because only then will we be on a straight course to where we actually want to go. We are officially in our new building! While there is still a lot to do, classes have officially moved to our new gym! We are still moving and adjusting, so we ask that you be patient with us, and if you want to contribute in any way, please talk to Master Sorenson. Board Breaking Extravaganza Saturday May 4, 2019 from 11-1pm! This is a Board Breaking Party for all ages, no experience or commitment required! Cost is just $15 and includes 2 boards, 2 slices of pizza, and a cookie. We will also be holding a raffle to say thanks to everyone who comes out and supports us. Registration is live! Just click here or click the picture in the sidebar! Current BST Students: for each friend you bring who is NOT a BST student you will receive an extra board to break and a raffle ticket for fun prizes! (Prizes will be displayed at the studio soon, so keep a look out!) Send your friends to kicktoday.com and have them click the picture in the sidebar to register online! Remind them to put your full name when they’re asked who referred them so you can get your extra boards and raffle tickets! Black Belt Testing Candidate & Parent Meeting May 6th @6pm. All Black Rec Belts (or those who will test for a Rec belt in June) are invited to come. We will be going over the January 2020 Black Belt Testing Information. Save The Date: Poomsae Seminar coming up May 18th! More details coming soon! Pre School Registration Info is Available at the Front Desk! This September BST will be opening a preschool program. Registration packets are available at the front desk! 2019 Annual Calendar is live! The updated class schedule for our new building will be emailed out so you have an idea of when classes will be. Check out our Afterschool Program! 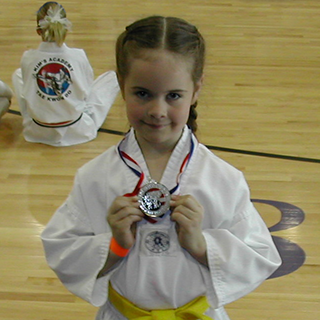 We provide school pickup, homework assistance, activities, and Taekwondo classes! Please contact the front desk for more information! We are a NO PEANUTS Facility! We have a number of students who could go into anaphylactic shock if they even smell or touch peanuts, so we ask that you do not bring anything containing peanuts to the studio, and if you handle or eat nuts before you come, please wash your hands. Thank you for helping us keep each other safe! BST Carpool: Some parents have expressed interest in a carpool list. This list will allow parents to communicate with others about where they live and who they can connect with to carpool for Taekwondo classes and events. Please contact us at the email or phone number above if you are interested in getting your name on a carpool list. Please give us your name, city, and phone number. Safety First - Look both ways before going out into parking lot! There are lots of cars in the parking lot and lots of parents dropping off and picking up kids. Remember this when you are running out to your car and make sure it is safe before you step into the parking lot! Bring a water bottle to classes! We want to stay hydrated for peak performance, but waiting around to get drinks can use up a lot of class time. Come prepared with your own water so that we can re-hydrate and get back to learning as soon as possible! We have a Bike Rack at BST! Students who ride their bikes have a place to lock them up! Please make sure you do bring a bike lock, and remember to take bikes home each night. We don’t want bikes to go missing! Some parents have expressed an interest in creating a parent association here at BST. There is a letter explaining areas where parents can volunteer at the front desk, as well as sign ups posted in the hall. If you have any questions please contact Mr. Waterlyn. You can get his contact info at the front desk, or email us at Beyondsportsutah@gmail.com and we can forward it to you. No wearing shoes or eating on the mat please! The mat is a special place reserved for practicing Taekwondo, and we need to remember to respect that space by taking care of it. Both wearing shoes and eating food on the mat can damage it or at the very least get it dirty, which makes our studio less enjoyable to learn in. If you see someone who doesn’t know or who has forgotten these rules, please respectfully remind them that that food and shoes need to stay off the mat! Remember to bow when you go on and off the mat. This is a way we show respect to our environment. We are so blessed to have such a clean, big training area, and we need to make sure we are showing our gratitude. Remember to show respect by saying "Yes Ma'am/Sir"
Pushups are a consequence, not a punishment! When students are late they miss part of the warm up, so they get to do pushups to make that up! Be on time so that you can warm up properly and avoid injury! Download your Testing Paperwork from Kicksite! Web Special: New students who mention this add will receive 1 month FREE during registration. For every referral who signs up you earn 25 BST Buks to be used toward testing fees, tuition, or proshop items! Want us to come do a talk at your school? We have a variety of topics that support teachers. Click here for info! Board Breaking Extravaganza: May 4th from 11-1pm. Register Here. June Color Belt Testing: June 17-21. CBT Week Schedule Here. Wasatch Exhibition Tournament: October 12, 2019. Register Here. Many families go out of town for Holidays & 3 day weekends, which means that if we had class, many students would end up being behind when they got back. To mitigate this problem, we generally follow Alpine School District’s (ASD) Calendar and are closed when students don’t have school. We have worked these breaks into our curriculum schedule, so that students who attend our scheduled classes regularly will cover everything they need in order to test. We publish our close dates for the year in our Yearly Calendar. Please refer to it and plan as many vacations as possible during close dates to help keep interruptions on your path to Black Belt to a minimum.